Like an awful lot of people, I got an Amazon Echo for Christmas (shown above). If you’re not familiar with Amazon Echos, they’re basically a range of smart speakers which allow you to converse with Alexa, Amazon’s ‘intelligent personal assistant’. Well, they say ‘intelligent’, she’s actually pretty stupid most of the time. I had visions of conversing with an all knowing super computer, like Captain Picard on the Starship Enterprise, when in reality it’s more like Basil Fawlty trying to have a conversation with Manuel, the hapless Spanish waiter from Fawlty Towers who understands next to no English. Sure, Alexa can recognise the words you’re saying most of the time, but she struggles if you don’t talk like a fellow machine and has little understanding of context. Voice user interfaces at the moment feel a little bit like command line interfaces that are simply spoken rather than typed. If you don’t know the syntax and dare to stray off the expect path, you can quickly tie your so-called ‘intelligent personal assistant’ into digital knots. My new Echo also got me thinking about how much of an interface you actually need. The Echo dot that I have only has 4 buttons – 2 for the volume, one to switch listening off and another generic select button that I’m still not sure what it does. Yet for all its faults it’s an amazing little gadget. Want to know what the weather will be like today, ask Alexa. Want to know what’s going on in the world, ask Alexa. Want to know how old pop superstar and one time Neighbours actress Kylie Minogue is, ask Alexa (a barely believable 49). Alexa might not be top of the class when it comes to intelligence, but conversing with her does feel very natural. Even better, consider keyless entry using a smart key (incidentally, why is it called keyless entry when you still need a key? Weird). You walk up, the car realises that you have the key and unlocks the doors like an obedient butler. We’ve come down from 13 steps to no steps at all. You see, the less interface, the better. 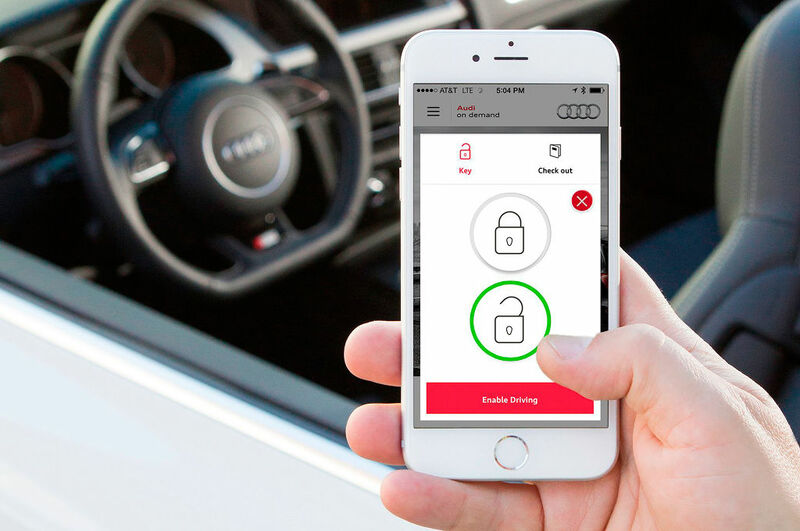 Is a mobile app really the best way to unlock your car? However, despite the title of Golden Krishna’s book (‘The best interface, is no interface’), in my opinion the best interface isn’t no interface, it’s just enough of an interface. Let me explain why. Having no interface, or at least next to no interface sounds great, but in reality this can cause as many problems for users as it hopes to solve. Take keyless entry for example. I used to have keyless entry for a Mazda 6. It was great in so much as I didn’t have to get the key out of my pocket to be able to get into the car. However, I was never really sure whether the car was locked, because if you tried a door handle whilst being in possession of the smart key, the car would unlock. You’d get into this infinite loop of locking, checking, inadvertently unlocking when checking, locking, checking, inadvertently unlocking. In the end, I just had to trust that the car was locked, or put the key down somewhere whilst I checked (and invariably then forget where I put it down). What was needed was an additional status indicator to show that the car was locked. For example, the wing mirrors automatically folding in. It wasn’t no interface that was required, it was just enough of an interface. What is just enough of an interface? It’s stripping an interface back to the bare minimum required to support the jobs and tasks that users need to accomplish. It’s removing any unnecessary screens, pointless clicks, superfluous swipes and tedious taps. It’s allowing users to focus on their job to be done, rather than having to focus on using an interface. However, just enough of an interface doesn’t mean stripping everything back. 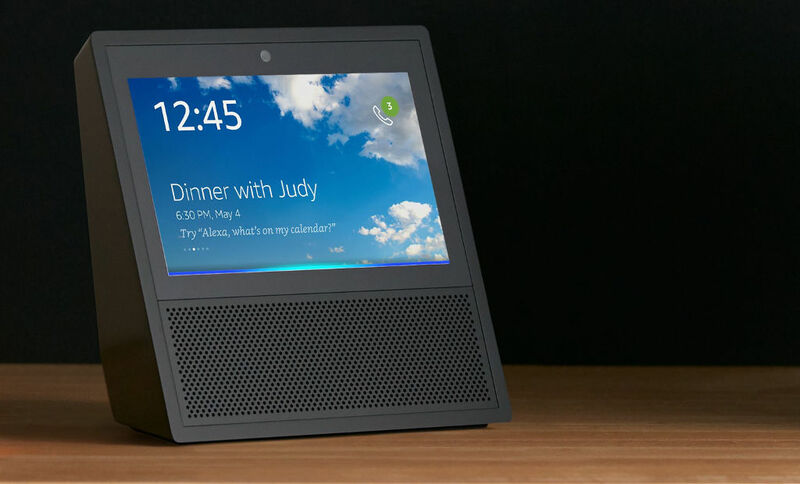 It’s no surprise that Amazon have now launched the Echo Show (shown below) – An echo with a screen. You see, it turns out that for a lot of things, having a screen is pretty useful. Image for example that you’re listening to a song on your Echo and want to find out who it’s by. Without a screen you have to interrupt the song to ask Alexa, hope that she heard you, and then listen intently whilst she tells you (assuming she understood you correctly). With a screen you simply glance to find out the current song playing. I’d say that a a voice only interface is too stripped back an interface for conversing with Alexa. A voice first interface, with a screen providing extra information and inputs where necessary (like the Echo Show) provides just enough of an interface, and according to Nielsen Norman is the future of interaction. Here are 5 key things to think about for designing just enough of an interface. I’ve written before about how UX is so much more than just the UI. To start with, you should look to reduce the need for an interface in the first place. Consider the mobile app for unlocking a car. The best approach was to redesign the user journey to eliminate the need for an app, not to redesign the UI of the app itself. Within an interface you should be constantly looking to reduce needless UI elements and interactions. For example, ditching features that 99% of users never use, and buttons that are never clicked. To paraphrase Albert Einstein, make the interface as simple as possible, but no simpler. Supporting voice interactions can be a fantastic way to reduce the need for interactions with a screen-based interface. However, as we’ve seen a VUI (voice user interface) is great for somethings, such as common commands and instructions, but isn’t the answer to everything, so only use voice interactions where it makes sense to do so. As we all know, apparently AI (artificial intelligence) is the future. Before too long we’ll be surrounded by all knowing machines that can predict our every thought, can know what we want even before we do and will no doubt take over the world Terminator style once they realise just how stupid the human race really is. Whilst we await the inevitable judgement day, we can utilise the power of AI to deliver a personalised interface, and in doing so minimise the need for interactions. 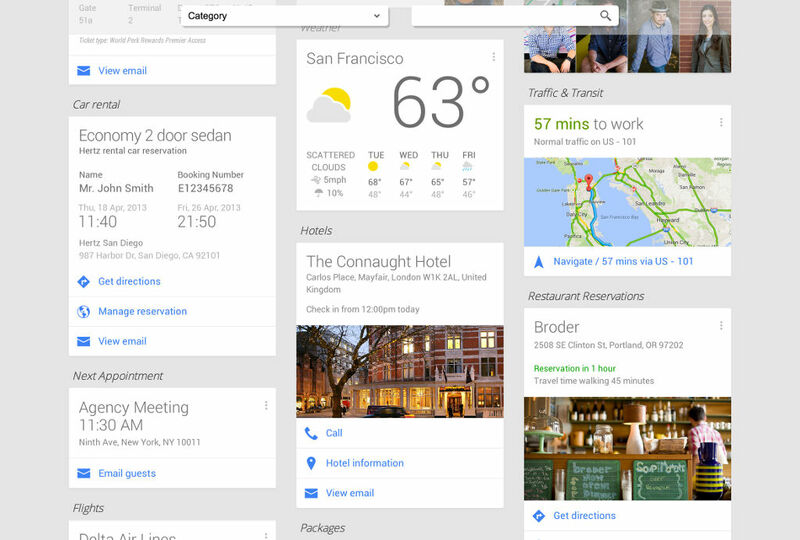 A simple example of this is Google Now an intelligent app for mobiles and tablets. Based on your previous digital activity, Google Now predicts what you’re interested in and serves, ‘The right information at just the right time’. For example, the weather for your location, how long your journey home might take, and the time of your next appointment. By predicting the tasks and jobs that a user will want to carry out, and by personalising the interface accordingly, you can provide just enough of an interface. How do you know if you have just enough of an interface? Well, as is so often the case with UX, you test it with users. Testing will not only tell you if you have too much of an interface, but also if you’ve stripped it back too much. Let’s look at one last example. Having sold the Mazda 6 (well, I never knew if it was locked or not), I now own a Skoda Octavia VRS. The in-car entertainment system within my Octavia (shown on the left below) has useful buttons around the touchscreen to allow you to easily switch between different functions, such as the radio, sat nav and phone. Having physical buttons is great because you can quickly glance and then feel for the button you need with your fingers. This means that you don’t have to take your eyes off the road for long. For the new Octavia model Skoda in their infinite wisdom decided to increase the size of the touchscreen and dispense with the physical buttons (shown on the right below). Unfortunately, this makes using the buttons much harder and arguably more dangerous as a driver has to take their eyes off the road for much longer to find and press the right one. Testing the new touchscreen buttons with users will no doubt have identified this issue and might have led to Skoda retaining the physical buttons. The real problem with the interface is that it is an interface. Interfaces get in the way. I don’t want to focus my energies on an interface. I want to focus on the job… I don’t want to think of myself as using a computer, I want to think of myself as doing my job.